Marine electric winch is widely used on occasions with heavy workload and in need of relatively heavy lifting and hauling. As the name implies, the winch is driven by electric power. Electric motor of drum winch drives the drum via reduction gear, and brakes are installed between the motor and reducer input shaft. 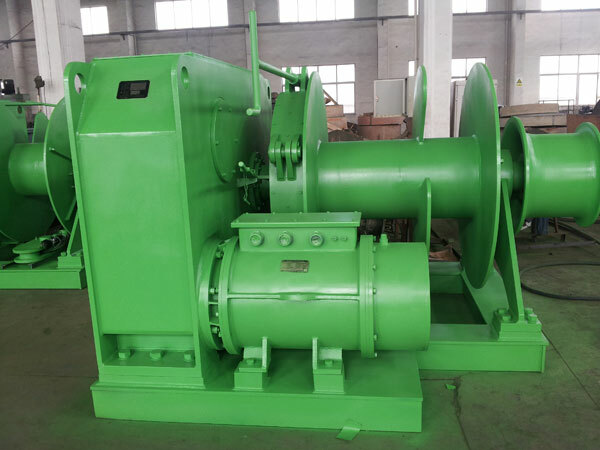 In general, when the rated load is less than 10T, the winch can be designed to be electric one. Single or double drum is optional. No matter which type you choose or want, Ellsen, as a reputable and professional winch supplier, will do the best to meet your requirements and provide high grade products for you as always. 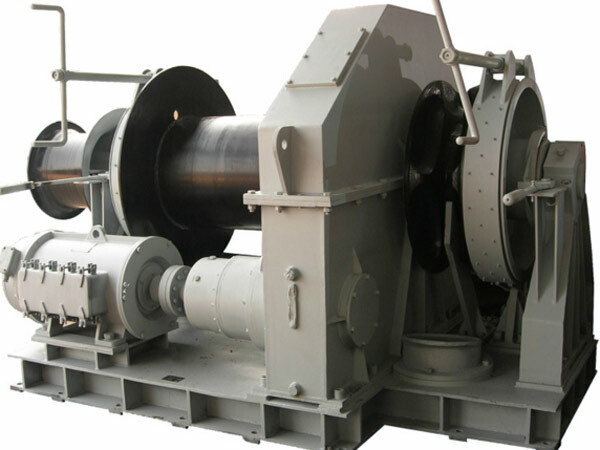 Marine electric winches come in different shapes and sizes to handle different weight loads, that is to say, the winches with different configurations are adopted by different types of boats or ships. 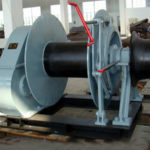 For small boats, the electric winch with light load capacity is usually selected; for large boats and ships, the winch with heavy load capacity will be used to meet the operation needs, except for the electric winch, hydraulic winch is also widely used on ships to handle different operations. When you are going to buy electric winches, please just choose leading and professional marine winch suppliers. The winch performance is good and price is very reasonable. We also have free training and guidance for the clients’ service and maintenance staff about installing, debugging, operating or maintaining the machine. We provide the perfect service to make sure that the electric winches you purchase from Ellsen work effectively and reliably all the time during its service life. 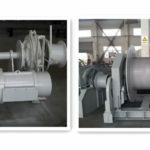 You can get our electric winch quotation or different types of electric winches for sale any time you send us inquiry. Marine electric windlass can be used for multiple applications, so there are marine electric anchor winch, electric mooring winch, electric towing winch and electric anchor mooring winch and so on. No matter what kind of electric marine winch you want, we can meet your needs. Our electric winch can be with one or two drums with or without warping head as you require. 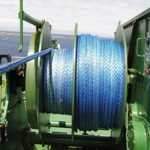 Choosing and using a high quality marine winch matters a lot, which can make sure that the marine operations are carried out safely and reliably. Contact us for more information about our marine electric winch price. 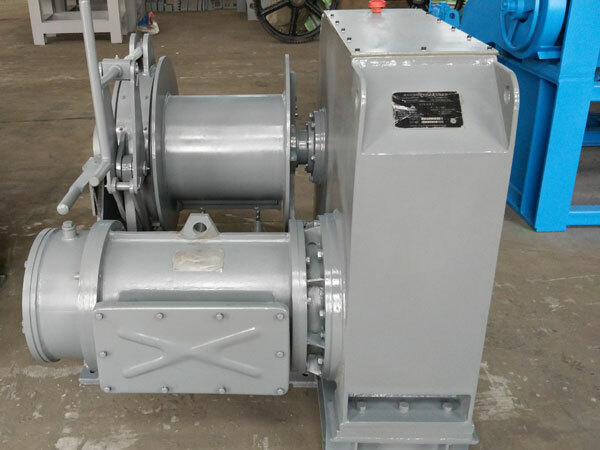 There are different types of electric marine winches including single drum marine winch, double drum marine winch and triple drum marine winch; the marine winches are used to meet different work needs, like anchoring, mooring, towing and so on. 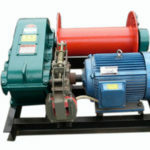 It is important to choose a suitable winch to fit all your work needs. One of the important factors in choosing a winch is to make sure the winch is designed and sized correctly for your boat or ship. It is essential to consider the amount of weight you are going to pull while determining what type of the winch will suit your needs. At the same time, it is necessary to consider the following factors: anchor size (the anchor weight), rode (chain or rope), ship displacement, ship windage, main application of the winch and so on. 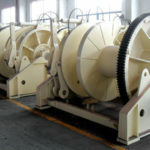 When you are planning on purchasing a new marine winch to meet your work needs, it is suggested to choose a reputable winch manufacturer and tell all your requirements on the winch to the supplier, and your supplier will recommend you a suitable electric winch in accordance with your work needs. 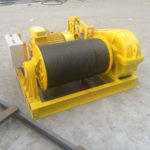 If you not sure about how to make a right selection, please just feel free to contact us and we will provide you with the best winch solution.